This past Saturday two of our club students competed in the Midwest Open TaeKwonDo Championships in Decatur, IL. Both Kirsten and Oleksiy earned first place in their division in forms! Oleksiy earned second place in his division in sparring! 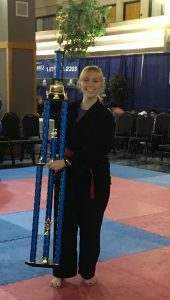 Also, Kirsten was crowned Grand Champion in forms! The location for the end of the semester belt test has been confirmed! As previously announced the belt test is scheduled for Saturday, December 9th in the ARC Combat Room. Warm-ups will start promptly at 10:00 AM! In turn, I recommend showing up at least 15 minutes early to ensure you are there on time. If you plan on testing you must be at the warm-ups, in turn, higher belts you might want to bring a small snack (banana, energy bar or sports drink) to keep your energy up while waiting for your test to begin. The ARC opens at 9 AM on the weekends so please set an alarm if you are not an early riser! Also, if you are not testing please still wear your full uniform since you can definitely help out during the test by holding targets, free-sparring, taking pictures and encouraging your fellow club members. The belt testing fee is $10 and this can be paid by cash, check or electronically on the day of the test. The fee covers boards, belts, and other testing items. If you are re-attempting for the same belt level there is no fee required. 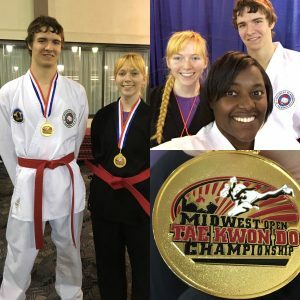 Please review the techniques for each belt rank that will be evaluated during the test on the club website: http://publish.illinois.edu/tkd-illinois/belt-ranks/. 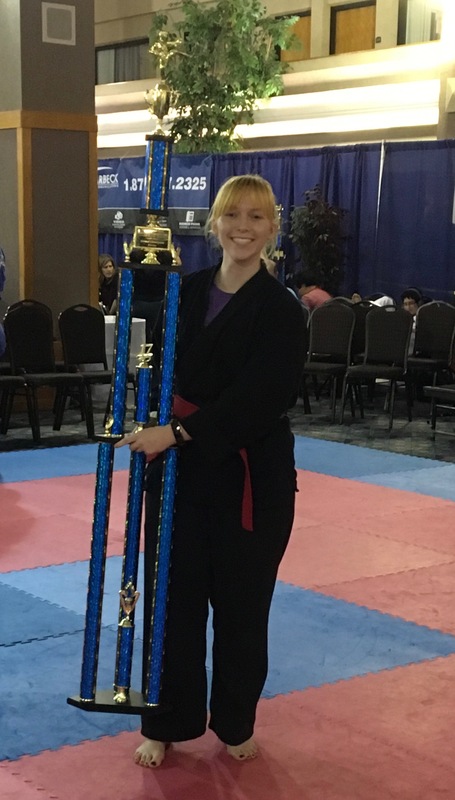 Also, everyone that is testing should review the rules, the Korean terminology (click here for rules on our website) and have a favorite technique prepared.You should be able to demonstrate your favorite technique on both sides. The potluck will take place at my house and begins at 5:30 PM. You can RSVP on the facebook event. Things to bring to the potluck: A tasty dish, dessert or beverage to share with the club and feel free to bring a spouse/significant other. Also, if you are attending sign-up to bring an item using the shared Google spreadsheet so that everyone doesn’t end up bring chips.